Should a Prospective Purchaser Obtain a Survey of the Property? Recently, many people who are purchasing real property have been reluctant to spend the money to obtain a survey of the property they are purchasing. However, in most circumstances it is obtaining a survey is vitally important and it is money well spent. Also, if the purchaser is financing the purchase with a mortgage loan, the lender will almost always require a survey before closing. Surveys are performed by licensed surveyors who are subject to regulations imposed by the State of New Jersey. A survey will locate any structures and other above ground improvements on the premises, including fences, identify easements the property is subject to and provide the purchaser with the property’s dimensions. It will show the exact boundaries on the deed – which sometimes yields surprises. A survey determines the dimensions and boundary lines of the property. If you get a survey you will know exactly how big your property is and where it begins and ends. Beyond just having the knowledge (so that you know when the neighbor is leaving his garbage cans on your property), this information is necessary to install a fence, add a patio, or pave your driveway. Additionally, the survey shows the metes and bounds property description which is included in your deed. The survey usually includes a certification that there are no discrepancies between the boundary lines of your property and the boundary lines of adjoining properties. This minimizes disputes between neighbors. The survey details all easements and rights-of-way. If you obtain a survey prior to purchasing the property, you will know what you are getting. Perhaps there is an agreement that allows your neighbor to walk or drive across your property, or some other agreement that “runs with the land” – meaning it will be enforced against any future owner of the property. It is vital to know this before you buy! It will depict any encroachments, joint driveways or party walls. If your neighbor’s fence is actually on your property, or your fence is on his property, you should know that before you purchase the property. You may need to share the driveway with the neighbor, or you may have a legal obligation to support your neighbor’s driveway by maintaining a retaining wall or a party wall. The survey will show all existing improvements on the property so that you can determine if the structures conform to existing laws. It shows building lines, set backs (the distance required by zoning laws between buildings and the street or sidewalk) and paved areas. If there is a violation, you may want to insist that is corrected prior to the closing on the purchase. You will discovery utility easements and the placement of pipes, drains, wires, cables manhole covers, lines and poles. Some of these may be visible when you visit the property, but some are not readily apparent and if you need to do work or just do some gardening, you may need this information. 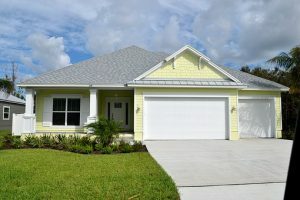 Typically, a contract for the purchase of real property will require the seller to provide “good and marketable” title. To the extent there are encroachments or overlaps or easements or zoning violations not specifically disclosed in the contract for sale, the survey may uncover defects in the title which must be remedied prior to closing. If you are entering into a contract to purchase property, the attorneys at McLaughlin & Nardi, LLC can represent you to help ensure that you know what you are buying and will guide you through the process from contract to closing. E-mail or call (973) 890-0004 to set up consultation.